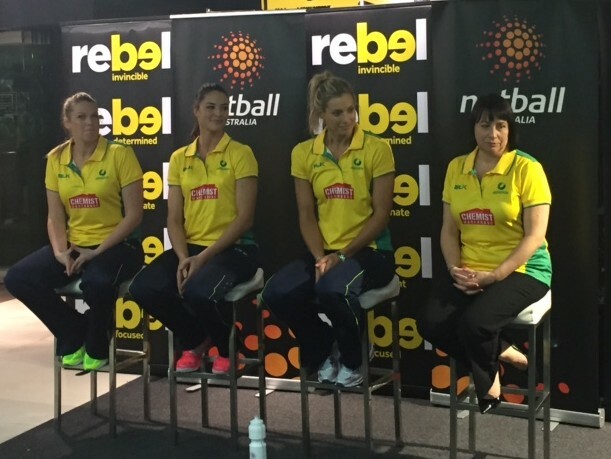 Australia’s largest sporting retailer rebel has announced a major partnership with Netball Australia and the Australian Netball Diamonds designed to promote female participation and engagement across the sport. The deal will see rebel become an Official Partner of Netball Australia and the Diamonds as well as an activation partner at Netball World Cup in Sydney 2015. Diamonds Captain Laura Geitz was also revealed as an official ambassador for rebel in a launch event on last night (Wednesday 24 June) at rebel’s flagship store in Pitt St, Sydney. From today onwards, fans will be able to purchase officially licensed Diamonds products in rebel stores across Australia. The deal was finalised by rebel’s sponsorship agency, Bastion EBA. Jack Watts, chief executive of Bastion EBA said the partnership marries two high profile organisations dedicated to promoting the inclusion of female participation in sport. “rebel is dedicated to providing opportunities for girls and women to access sports at all levels. Raising the profile and demonstrating visibility of high profile female role models has a direct effect in driving participation in sports. “Partnering with Netball Australia perfectly encompasses rebel’s goal of increasing female inclusion through ‘participation pathways’ in sports across the board and creating ethically driven, commercial outcomes for both parties,” added Watts. The negotiated deal which is to roll out over the next three years comprises official merchandise, community outreach through local clubs and grass roots activities, digital assets, including social and major signage with a key focus on digital channels where women comprise a high percentage of participation online.